Today’s post was inspired by oneword.com. I had sixty seconds to write about the word “viewpoint.” My brain and fingers raced. I think I nailed it. About an hour later, I decided to create an image that might complement, or dare I say, reflect the text prompt. 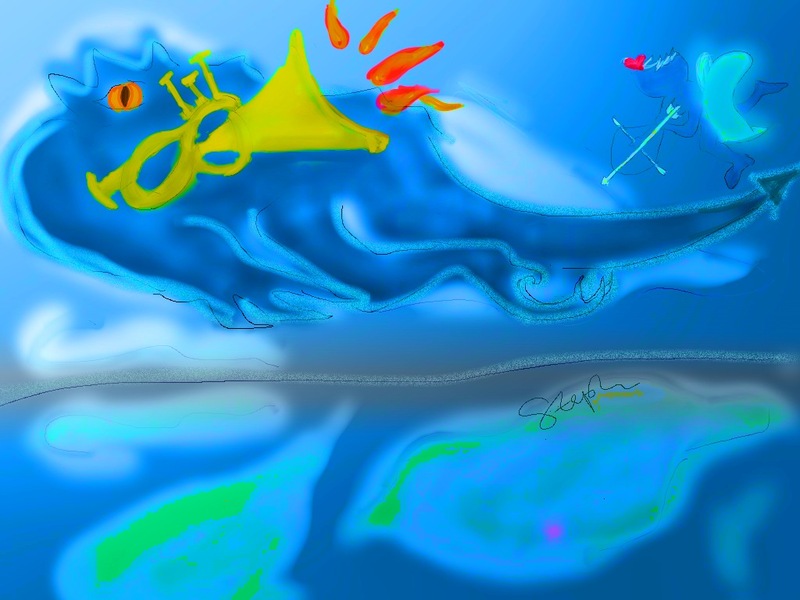 I found an appropriate prompt from Writing.com: “The sky looked in the mirror, and it saw…” The doodle took longer than 60 seconds (using using ArtRage and PhotoWizard). © 2014 Steph Abbott. All rights reserved.